Peter C. Conrad. 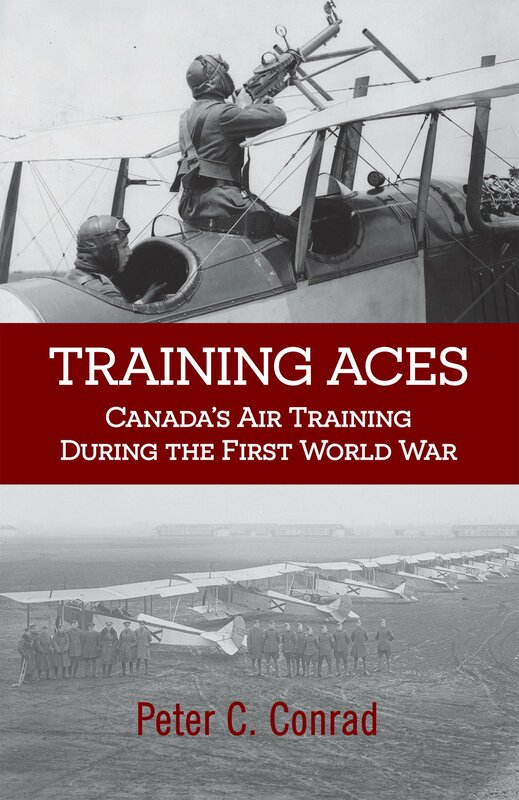 Training Aces: Canada’s Air Training During the First World War. Markham, ON: BookLand Press, 2015. Pp. 231. 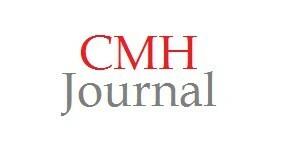 Readers of this journal will be familiar with the British Commonwealth Air Training Plan (BCATP) which trained more than 130,000 Allied aircrew during the Second World War and has been described by J. L. Granatstein as the “major Canadian military contribution to the Allied war effort.” Many may not be aware, however, that the BCATP was based on a similar programme carried out in Canada during the First World War by the Royal Flying Corps (RFC). It trained more than 16,000 aircrew and was a significant, if unexpected, Canadian contribution to the Allied war effort as well. Although RFC Canada was a British operation, Canadians soon came to dominate it. By the end of the war they commanded two of its three wings and twelve of its sixteen training squadrons, as well as the School of Aerial Fighting and each of its four squadrons, the Cadet Wing, and the Mechanical Transport Section. About seventy per cent of all flying appointments were held by Canadians. 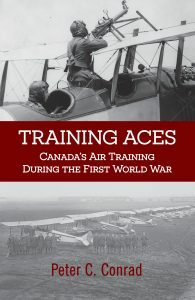 There was also close collaboration with the United States after it entered the war and about a third of the flying instructors in RFC Canada’s training squadrons were Americans. It was a remarkable achievement and a significant part of Canada’s contribution to the First World War that should be better known, especially since S.F. 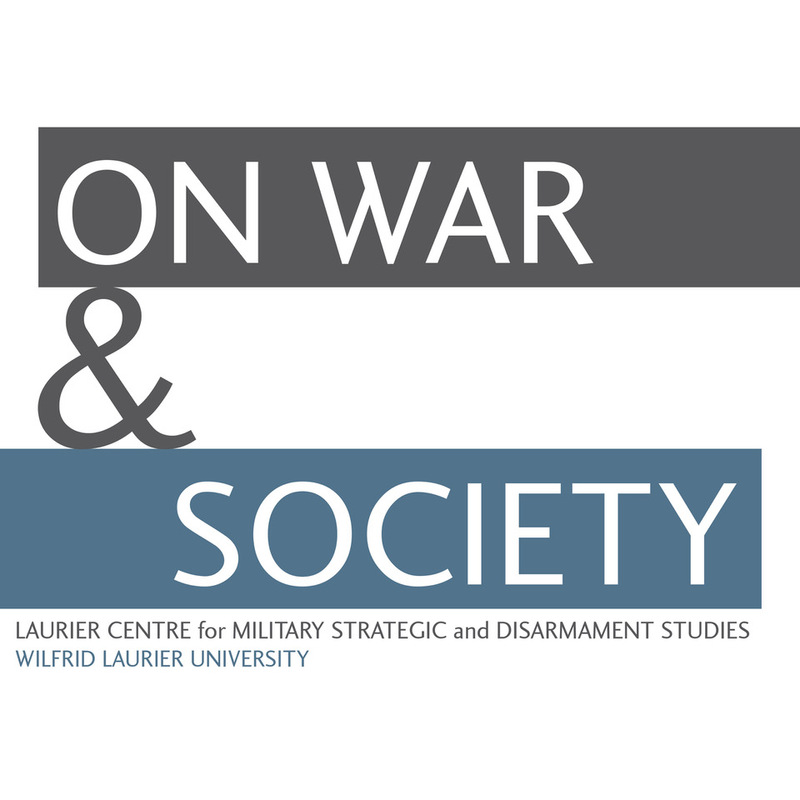 Wise published an excellent account of it in 1980 in Canadian Airmen and the First World War, the first volume in the official history of the Royal Canadian Air Force. With 649 pages of text and 74 pages of endnotes, however, that volume may not have reached many casual readers, which may explain why Peter Conrad thought it necessary to write this brief, more accessible, version. It is a much less ambitious effort, with 201 pages of text and 21 pages of notes. Even so, Conrad traces the development of flight in Canada before the war, something that Wise did not do except for its military aspects. Unfortunately, Conrad tries to do it in thirteen pages, resulting in a thin, disjointed and incomplete account. Having recognised the value of the pre-war background, it is unfortunate that he did not address it more thoroughly. He does seem to recognise the importance of Alexander Graham Bell’s Aerial Experiment Association (AEA), for example, but does not really seem to appreciate its significance. His single reference to Thomas Selfridge, for example, mentions him only in passing as the otherwise unidentified “Selfridge” who piloted an early flight. Thomas Selfridge was in fact an important pioneer in the development of flight. A graduate of West Point, he was one of the first pilots in the US Army and was appointed the US government’s representative to the AEA and served as its secretary. In December 1907 he piloted the Cygnet, Bell’s experimental tetrahedral kite, in the first heavier-than-air flight in Canada, two years before the flight of the Silver Dart in 1909. He went on to work with the Wrights before becoming the first man to die in an airplane crash (in September 1908). After this rather weak introduction, Conrad addresses his main subject in what might be described as a scissors-and-paste manner, covering the same ground that Wise did, only much more briefly and with less accuracy. He briefly relates Ernest Janney’s role in trying to establish an aviation corps in 1914 but tells us nothing about him, then talks about the Canadian Aviation Corps (on pages 28-29) as though it actually existed. It did not except in the minds of Sam Hughes and Janney. When Janney showed up at Salisbury Plain in late 1914 and presented Major General Edwin Alderson with his plans for the Canadian Expeditionary Force’s air unit, the CEF’s commanding officer was understandably dumbfounded. He logically cabled Militia Headquarters asking for an explanation and was told—presumably at the dictation of Willoughby Gwatkin, the Chief of the General Staff—that there was no air unit and no intention of forming one. Since Janney’s authority was only a private conversation with Hughes and his appointment as commanding officer had never been gazetted, the Canadian Aviation Corps did not exist. Conrad also struggles with other issues. It is not true, for example, that Borden objected to the governor general’s intervention to stop Hughes from recruiting men in the United States for his so-called American Legion because Canada “was a sovereign state” (p. 86). Canada was not a sovereign state in 1916 and Borden did not think it was. Besides, Britain and Canada were allowed to recruit British subjects living in the United States; the problem was that, as usual, Hughes had gone after American citizens as well. As soon as the US entered the war General George O. Squier, who commanded the American air service, agreed that RFC Canada could open a recruiting office in New York City to recruit prospective aircrew, recognising that his own training organisation was inadequate and it was better to have Americans trained to fight with the British than not to fight at all. Conrad is at his best when describing the actual training and its evolution, including the cooperation with American authorities in joint training and the experience of Canadians during winter training in Texas. One wonders, however, why he failed to use several published accounts of their training experience written by RFC pilots, most notably Harold Hartney (Up and At ‘Em, 1940), James Warner Bellah (Irregular Gentleman, 1948), Verschoyle Cronyn (Other Days, 1976) and Douglas Joy (The Royal Flying Corps: The War Years, 2000). He does not even cite Hugh Halliday and Laura Brandon’s article, “Into the Blue: Pilot Training in Canada,” published in this journal in 1999. He does provide a useful chapter on the growth of the aircraft industry during the war and the many photographs definitely add to the book’s value. Conrad concludes by suggesting that the RFC Canada project “did not receive the recognition it should have as the foundation of the Canada [sic] aviation heritage,” attributing this to the fact that it was controlled by the British (p. 207). He makes no effort to support this conclusion, however. More curiously and perhaps illogically, he also concludes that RFC Canada “established Canada as an aviation power after the First World War” (p. 207). He does not explain why he thinks Canada was an aviation power in the 1920s and 1930s. All the evidence suggests the opposite. Despite its major weaknesses, readers curious about this largely unfamiliar subject, especially those unwilling to tackle Wise’s authoritative book, may find this a useful brief introduction. Having said that, Conrad has been poorly served by his editor, if his publisher has one, because readers must struggle through countless spelling and grammatical errors, ranging from “Bordon” instead of “Borden” and “navel” instead of “naval” to “found” instead of “founded” and “sunk” instead of “sank.” As well, three paragraphs on page 8 are reprinted on page 23. There are endnotes but no bibliography or index. J.L. Granatstein, Canada’s War: The Politics of the Mackenzie King Government 1939-1945 (Toronto: Oxford University Press, 1975), 43. S.F. Wise, Canadian Airmen and the First World War: The Official History of the Royal Canadian Air Force, Volume 1 (Toronto: University of Toronto Press, 1980), 75. Hugh A. Halliday and Laura Brandon, “Into the Blue: Pilot Training in Canada, 1917-1918,” Canadian Military History 8, no. 1 (Winter 1999): 59-64.